In Victor, located on our park-like grounds, with visiting wildlife. 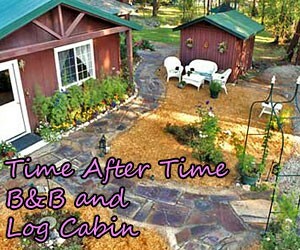 Select from 3 unique suites, or our 2012-built cabin. Delicious daily breakfast in our outdoor porch. Menu includes: apps, pizza, burgers, wings & salads. Daily drink, food & entertainment specials. Located along US-93, at the center of the Bitterroot Valley and between Hamilton and Stevensville. 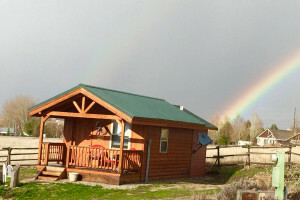 Enjoy recreation on the Bitterroot River and in the Sapphire and Bitterroot Mountains. Explore the Victor Heritage Museum. Take your kids to the Qwivals Family Fun Center and Corn Maze. Attend the annual Chief Victor Days. The area around Victor was originally occupied by the Salish tribe and its name is in honor of one of the tribe’s great chiefs. The first white people to visit the area were part of the Lewis and Clark expedition and by the end of the nineteenth century, Victor was an established Bitterroot Valley community connected by the railroad and known for its lumber, agriculture and silver-mining industries. 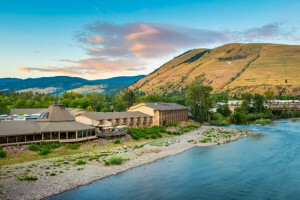 Today, Victor invites visitors to explore its museum, attend its local festivals, and recreate on the Bitterroot River and within the Bitterroot and Sapphire Mountains. Victor, Montana is located between Stevensville and Hamilton along US-93. Make yourself at home in Victor when you stay at one of its guest lodges, inns or bed and breakfasts. 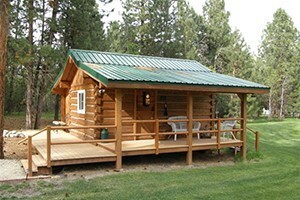 Several campgrounds are also located in nearby Bitterroot National Forest. Dining options include a steakhouse, café, deli, and inn, and adults can wet their whistles at the saloon, bar, or pub. Browse local gift and specialty shops for that perfect souvenir and gas up your automobile at one of two service stations. Summertime finds folks floating and fishing on the Bitterroot River, and hiking, camping, backpacking, horseback riding, and cycling in Bitterroot National Forest. If you’re a runner, sign up for Victor’s Sweathouse Half Marathon and race your way through gorgeous valley landscapes during early autumn. Victor also hosts a variety of activities throughout the year including the Museum’s Chocolate Tasting event, “Breakfast in the Park,” held on Saturday mornings during the summer, and Chief Victor Days, held every June and featuring a parade, Pow-Wow, scavenger hunt, and more. The town sits below St. Marys Peak and the Selway-Bitterroot Wilderness. Head west to access Sweathouse Creek Trailhead, Bear Creek Trailhead and Fred Burr Trailhead. Housed in the old Victor Depot building, the Victor Heritage Museum displays Native American artifacts and other local items. The museum is open from Memorial Day weekend through Labor Day and admission is free. From Missoula, drive 10 miles on US-12 W and continue onto US-93 S for another 24 miles. Take in great views of the valley and surrounding mountain ranges on your journey from Missoula to Victor. If you need to stretch your legs, consider spending a few hours exploring St. Mary’s Mission in Stevensville or simply pause along the river for a peaceful picnic lunch. Victor, Montana is a small town located in the Bitterroot Mountain Range.